Thousands of years ago, a melting glacier deposited sand and rock debris south of Cape Cod. What was left? The boomerang-shaped island of Nantucket. In spite of Nantucket’s relatively small size—less than 50 square miles—its inhabitants and history offer a bounty of captivating stories that have been passed down through generations. Remnants of those tales still remain, and history hunters and story seekers will find them in Nantucket. Boaters will find not only a full range of services at the Nantucket Boat Basin, but also easy access to transportation, accommodations, shopping, and dining. 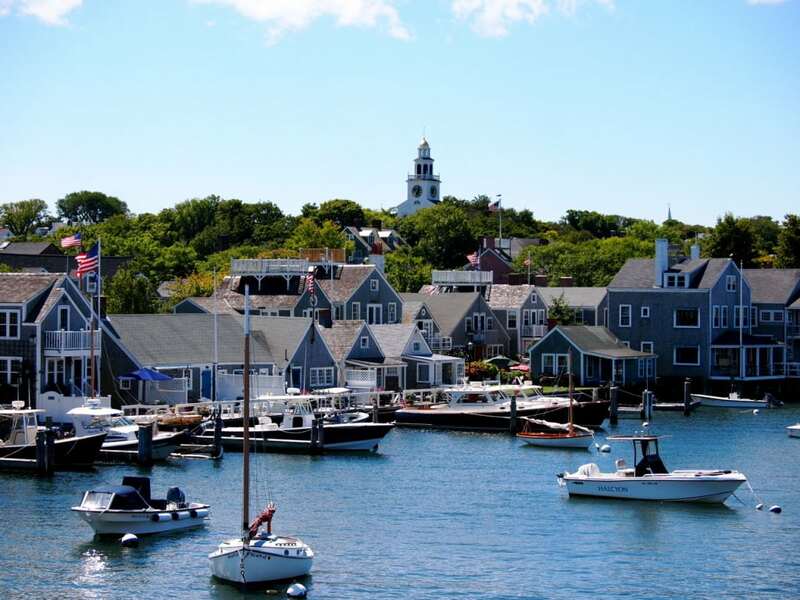 The 240-slip marina is owned by Nantucket Island Resorts, which also operates and provides transportation to several premier hotels and restaurants on other parts of the island. If you prefer to stay close to your boat in the marina but sleep on land, consider The Cottages & Lofts at the Boat Basin. The one-, two and three-bedroom units are located on the marina wharves, and each cottage displays a creative moniker on a quarterboard at its front door. All 29 cottages have kitchens and air conditioning, and if you’re traveling with Rover, reserve a pet-friendly unit well in advance. For those who prefer higher-end accommodations, the White Elephant Hotel and White Elephant Village offer guest rooms and suites, garden cottages and one- to three-bedroom residences furnished with state-of-the-art appliances. Amenities available to Village guests also include a heated pool and cabanas, fitness center and complimentary bicycles. No Nantucket visit would be complete without a visit to the Whaling Museum, where exhibits and artifacts explain the time and culture far beyond that of the whaling industry. In addition to this, you’ll learn about the island’s earliest settlers, including the Quakers, shipmates’ crafts and activities, the fire that destroyed much of the island, and the resulting exodus of islanders who sought other sources of income like gold mining in California. The museum opens daily at 10 AM, and a number of tours and ticket options are available, some of which combine visits to other historic sites. Within steps of the Boat Basin and the seaport, Nantucket proper comprises boutiques and shops, art galleries, restaurants, and pubs. Here, or anywhere on the island, you won’t find a Starbucks, Red Lobster, Macy’s, or any other chain store or restaurant. 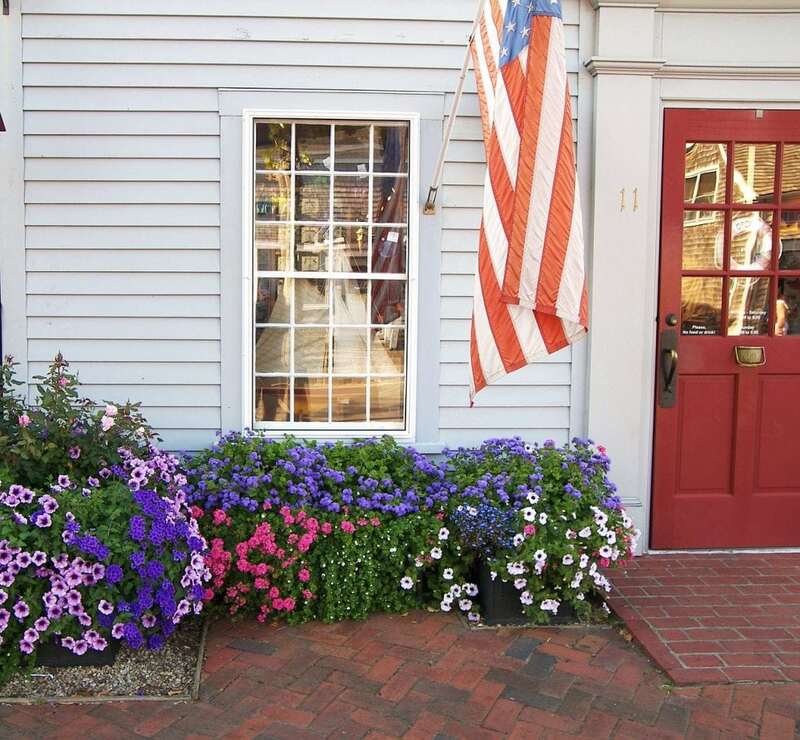 Each shop is unique, and each shop-keeper offers a particular brand of Nantucket experience. Classic New England style shingled homes line the coast in Nantucket. You’ll be hard-pressed to visit all in a weekend, so a return trip will not only prove necessary but, anticipated. Each time you visit, invest not only in yourself, but in the island community with a remembrance of your on-island experience: trousers or a skirt in Nantucket red, a Lightship basket, whale memento, or artwork created by an islander. If you carry bicycles on board your boat, you’ll enjoy using them on Nantucket. If not, bicycles and mopeds are readily available for rental. Five paved and well-marked trails range from 2.5- to 8-miles long and lead to scenic areas around the island where you’ll enjoy views of both the sparkling sea and of protected conservation landscapes. Public transportation is available during the summer season to Siasconset, Madaket and Surfside beaches. With all the walking, bicycling and beaching, feel free to sate your appetite with fine food and drink. Topper’s at The Wauwinet—another accommodation option that offers a respite from bustling seaport activity—is the recipient of the coveted Wine Spectator “Grand Award.” Closer to town, Brant Point Grill at the White Elephant offers a complete land-and-sea menu overlooking a well-manicured lawn and the harbor. Some sources suggest that the island is sinking into the ocean, a claim that is unfounded. However, the scientific community at large verifies that the polar caps are melting and as a result, Earth’s seas are rising. Consequently, low islands and coastal areas are living on borrowed time. All would agree that Nantucket is much closer to the end of her life than the beginning. Go soon and to experience her tales and treasures before she is gone forever.